1. 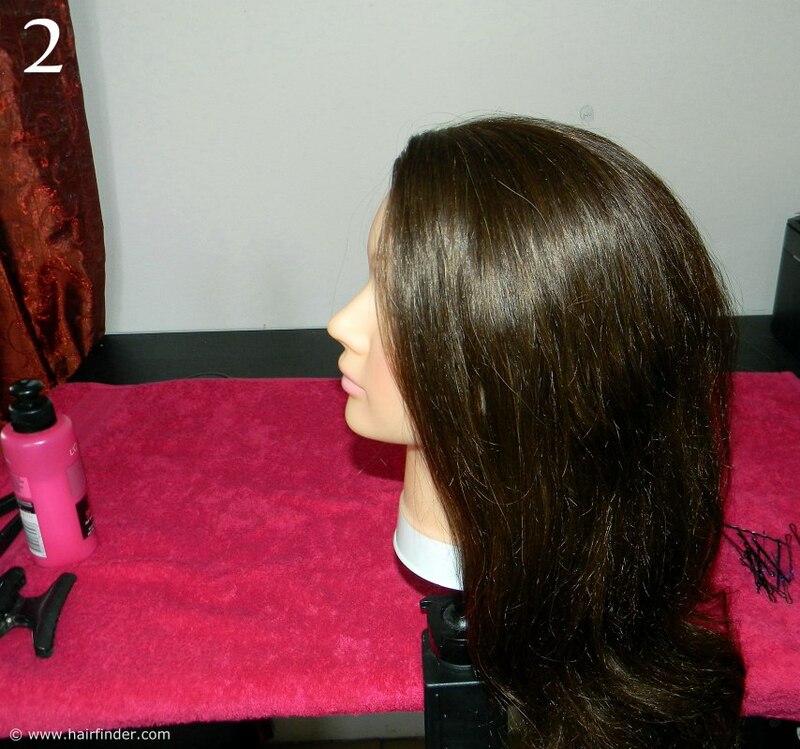 Brush the hair of your model to the back of her head. 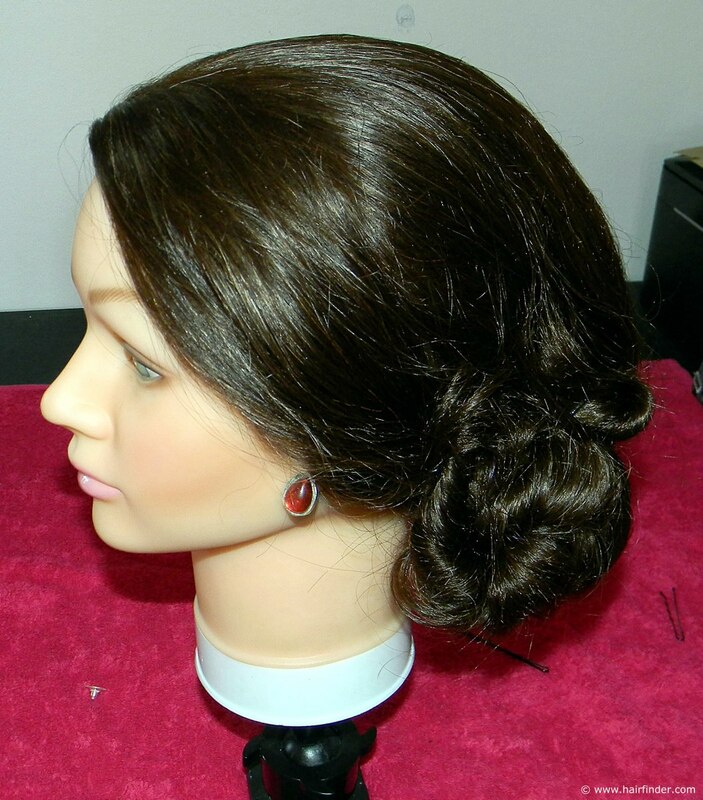 This style is easier to do with someone who has a bit of a kink or some waves in their hair. 2. 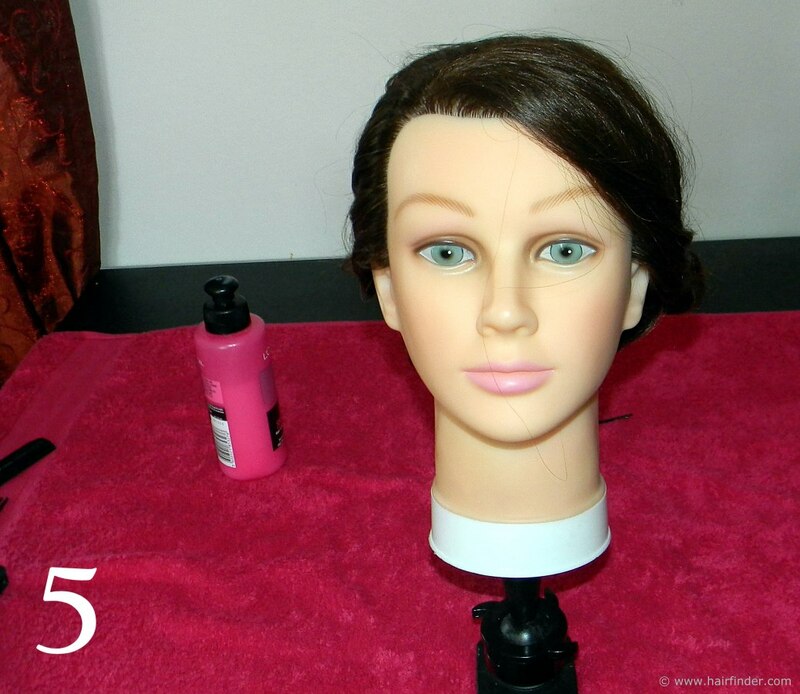 Make a side-part with your comb, and comb the hair to the side of your model’s face. 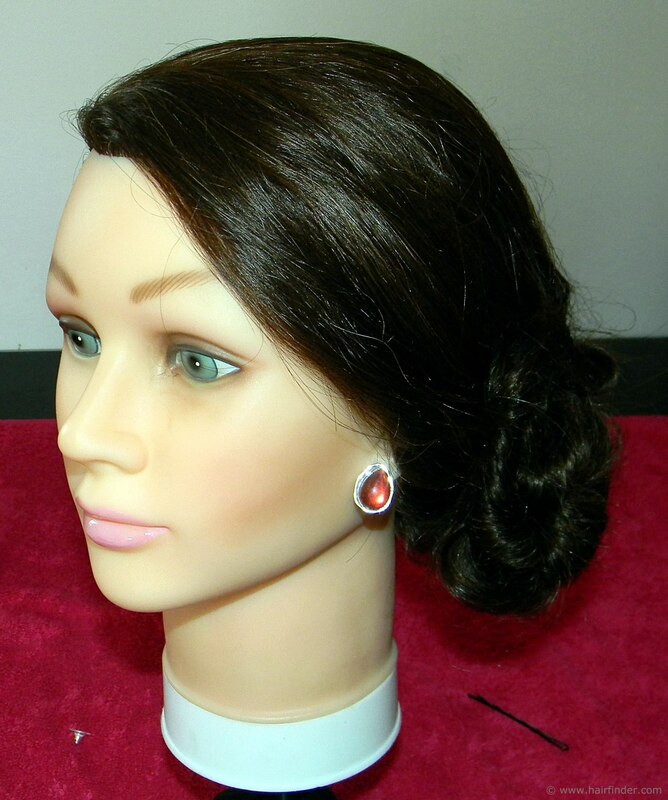 Remember that the side-twist will be done on the side that the side-part is combed to. This hairstyle works best with a long fringe, or no fringe at all. 3. 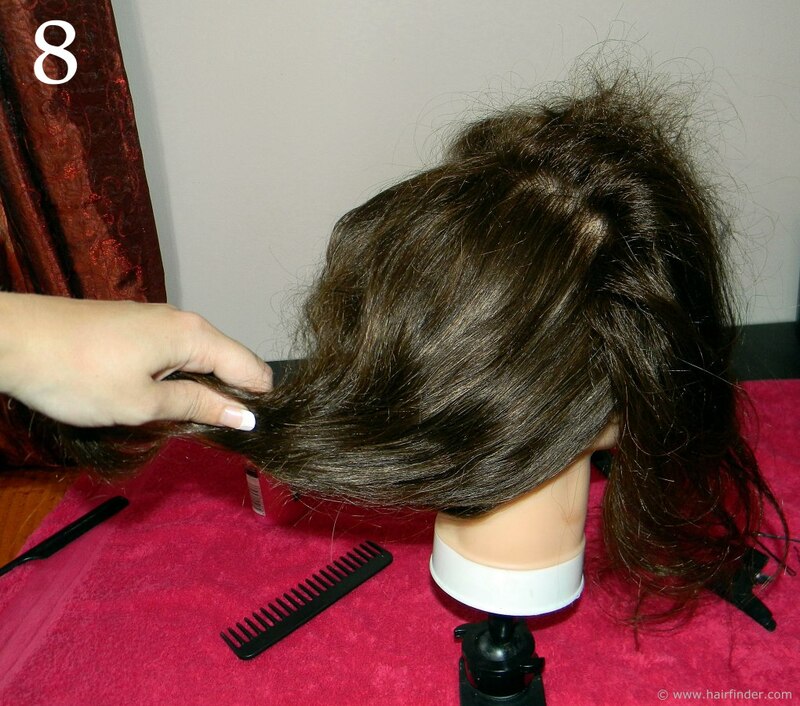 Use your tail-comb to make a section spanning from the side-part line, down to right behind the model’s ear. 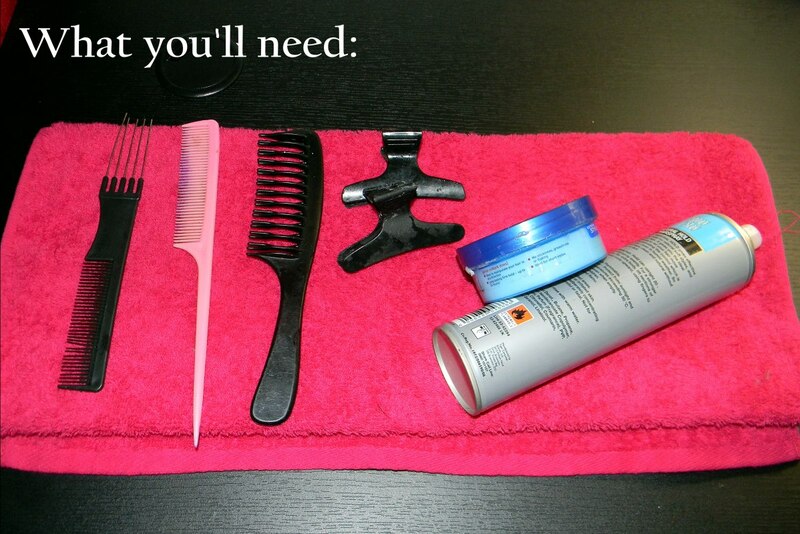 Take care to make this section-line neat, and secure the hair in the back section with a clip. Gently comb the hair that is hanging down to get rid of any knots. 4. Twist the hair that is hanging down in a simple twist. 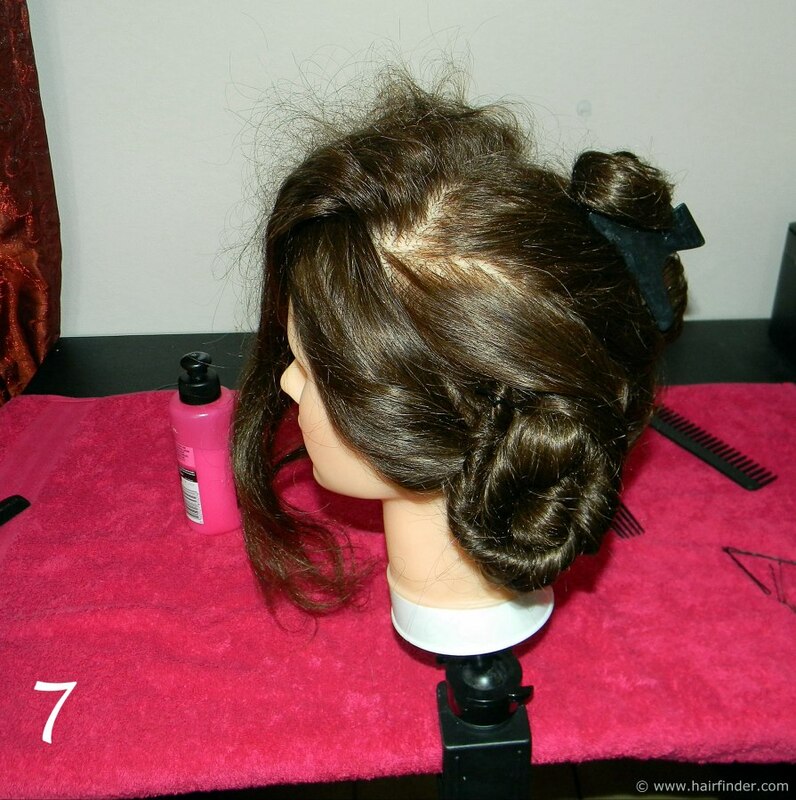 Twist this hair up to form a twisted bun, and secure it with a bobby pin. 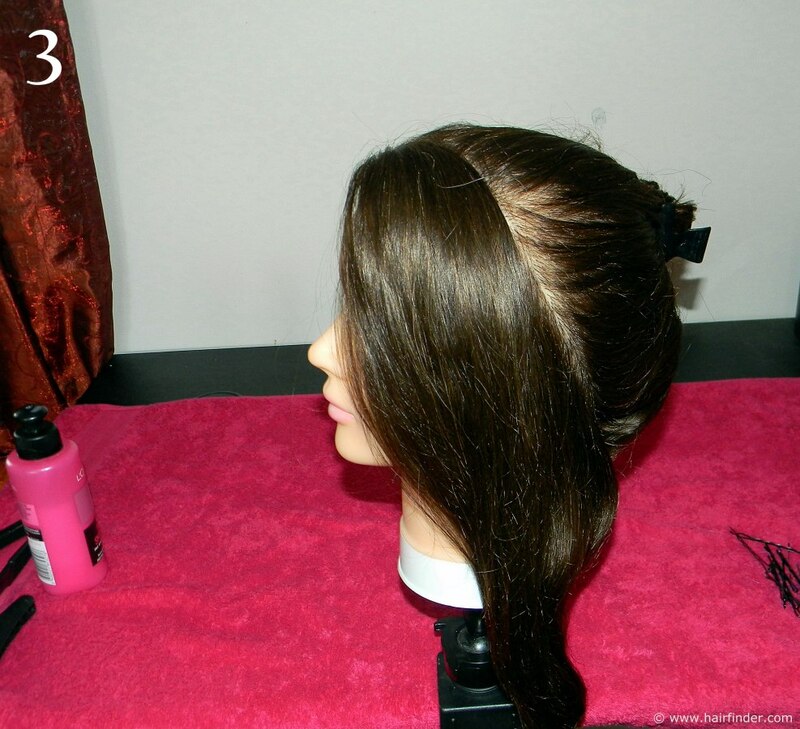 For dark hair use a black or brown bobby pin, for blonde hair, use a golden bobby pin. The goal is to disguise the bobby pins to the point that it is invisible. Take care to work as neatly as possible. 5. Note how the “fringe” area hangs slightly down the model’s face at the front. You’ll pull this section of hair down a bit lower at a later step. Also note that the style looks flat from the front. 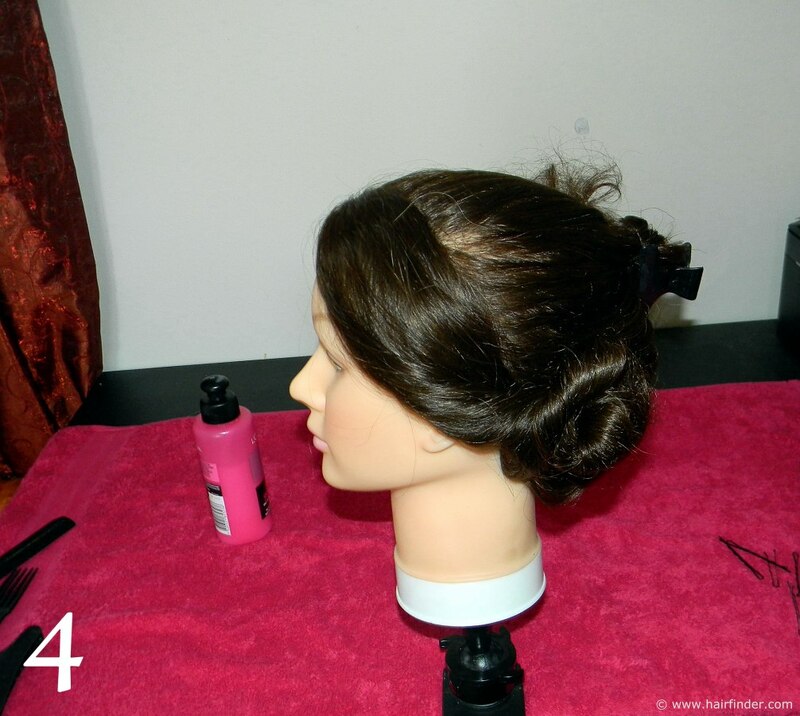 We’ll be teasing the hair to add height and correct the balance and silhouette of the style. 6. Draw a section with your tail comb from temple to temple. Gently tease this section of hair. 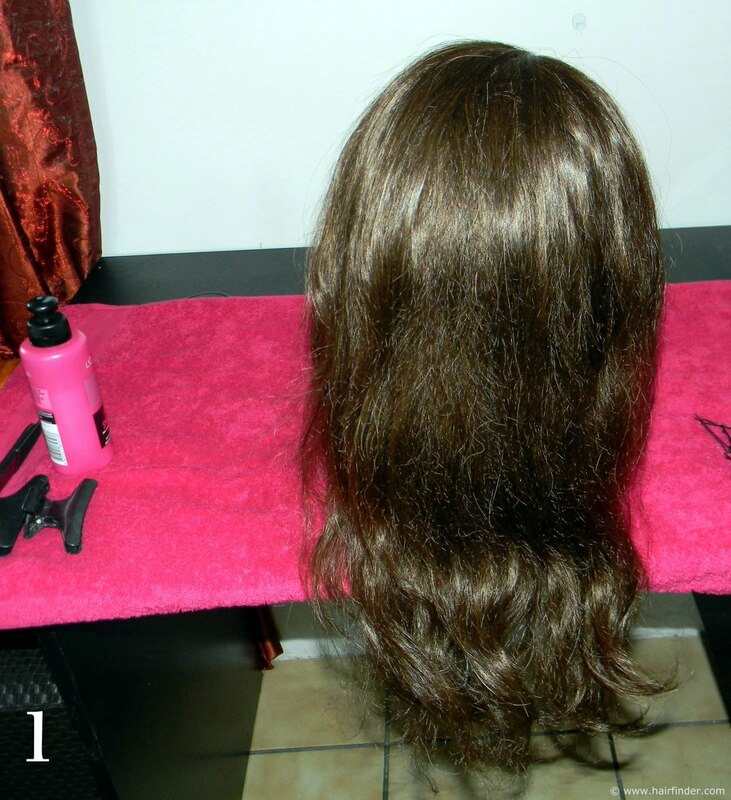 This teased section will be used at a later stage to add the height at the front of the style. For now, let this section hang forward.